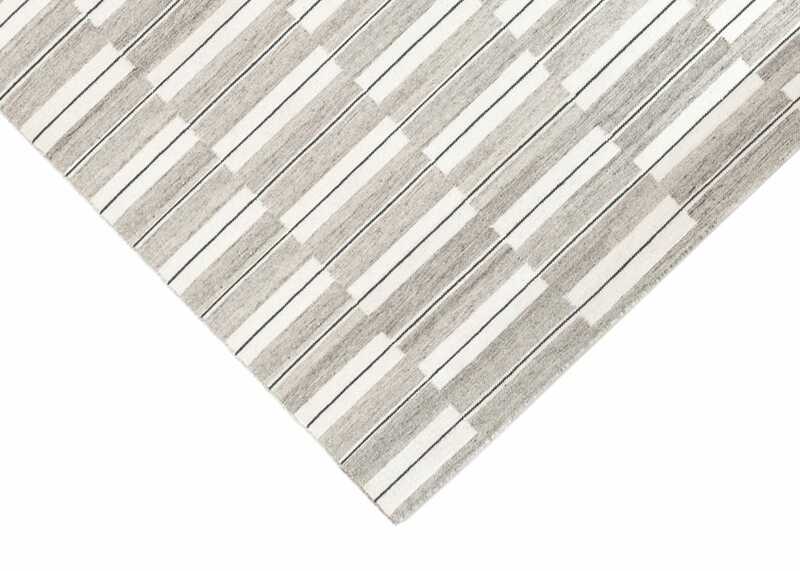 Designed in London by Eleanor Pritchard and handwoven in India, the Spindle range features a large-scale pattern of repeating thick and thin light grey blocks centre-scored with a fine accent line. 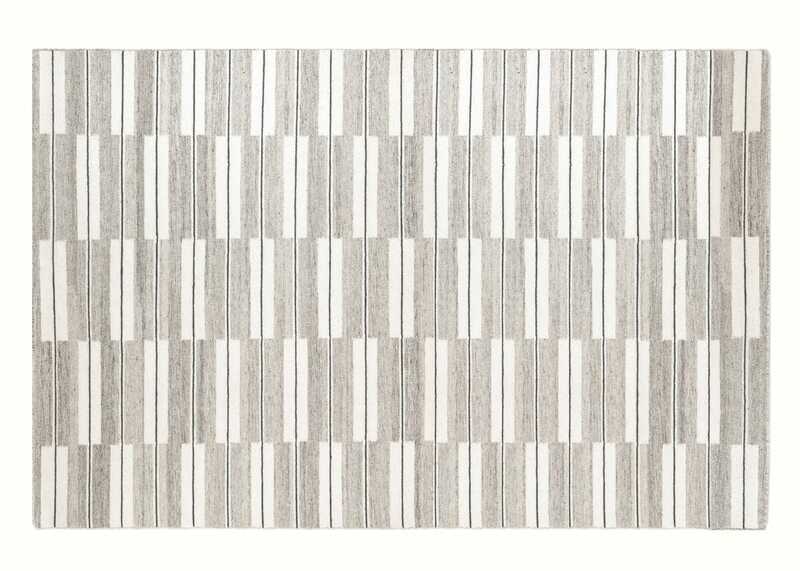 The graphical nature of this rug has a pleasing simplicity and references architectural detailing as well as the vertical line of yarn on a drop spindle. The Spindle Range references architectural detailing, as well as the vertical line of yarn on a drop spindle. 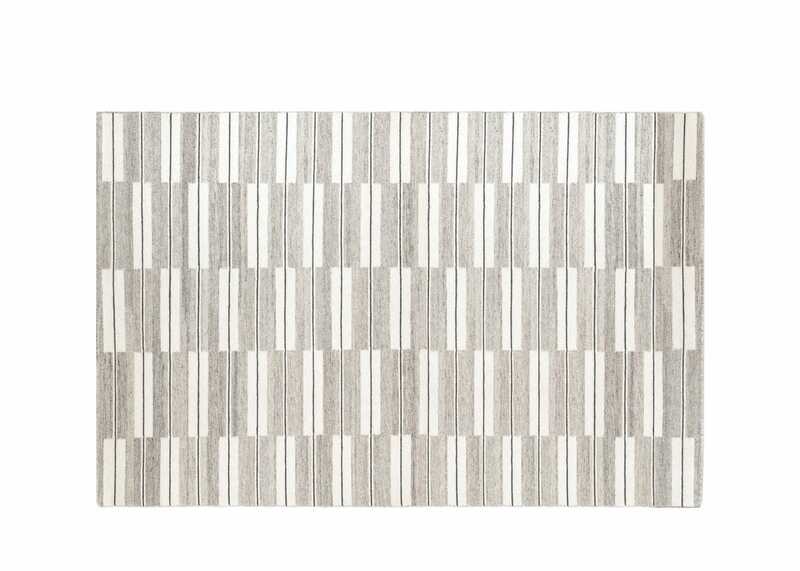 Made from 100% wool which is very durable.